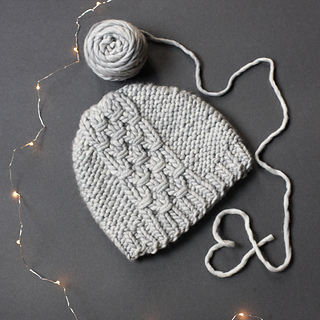 As the days of autumn darken, the frenzy of gift-knitting season takes hold. 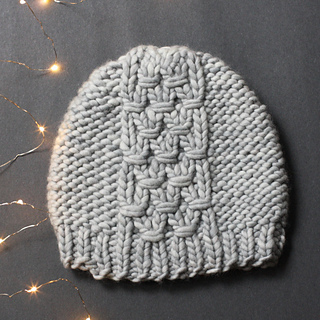 Whether you want a last-minute gift for a co-worker, need to fill your table at the holiday craft fair, or donate knit items to a local charity, a super bulky hat pattern comes to the rescue. 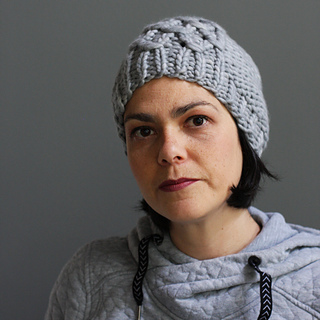 Each of the hats in Wrapt can be knit in 1-4 hours, and there is a size for everyone. 50% of the proceeds from this e-book will be donated to Food Bank on the Edge Society, which helps people Ucluelet, Tofino and surrounding areas. Please see this thread for fundraising updates. 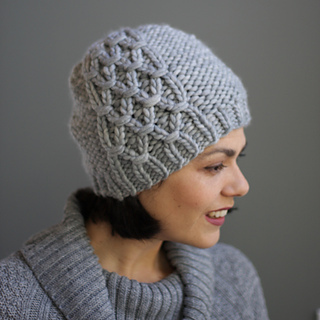 In Tranquil, a column of wraps creates a faux cable up one side on a backdrop of reverse stockinette. If you prefer knit stitches over purls, don’t pass this one by; it’s worked in the round on the knit side then turned inside out for wear. 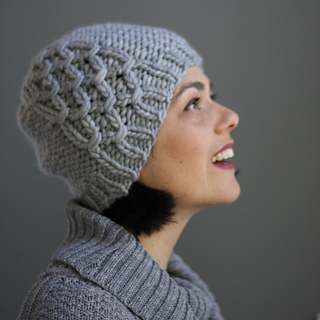 This classic toque snugly fits the ears. Choose a size with 1-2” (2.5-5cm) negative ease. See photo of table to the left for size ranges and yardage requirements.